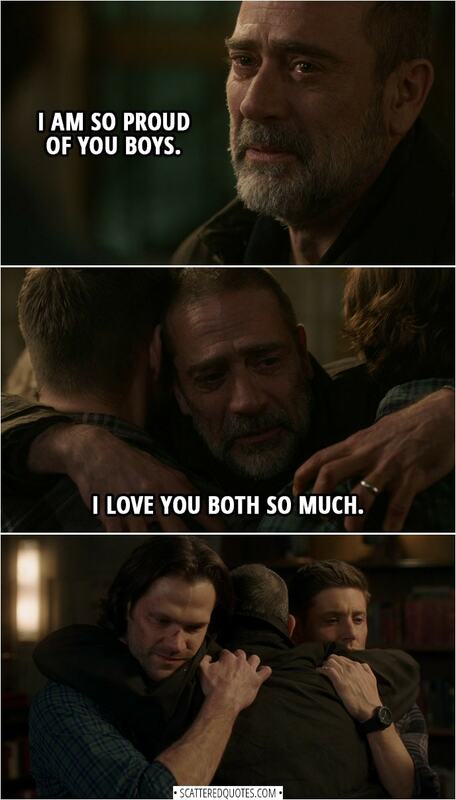 John Winchester: You take care of each other. Sam Winchester: We always do. Dean Winchester: Good to see you, Dad. John Winchester: Yeah. I am so proud of you boys. (he hugs them) I love you both so much. 11.2.2019 I am so proud of you boys.